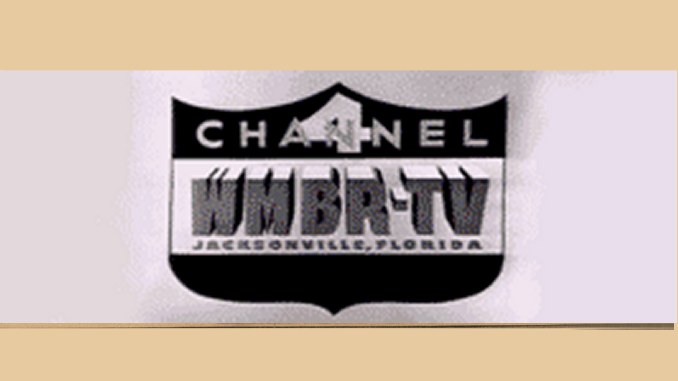 Jacksonville’s WMBR-TV Channel 4 went on the air on Oct. 16, 1949, broadcasting four hours a day from its 478-foot antenna on the city’s southside. But it would be nearly two years before Orlando newspapers took note and began running daily TV listings for the area’s closest station. TV comes to Jacksonville in October 1949. It didn’t take the TV signals 21 months to reach here, but it did take that span of time for enough television sets to be sold around Orlando to create demand for daily listings. So on Tuesday, July 31, 1951, the Orlando Morning Sentinel began running TV listings for WMBR. The station was broadcasting a full day’s worth of programming by then, starting with a test pattern at 9 a.m. and a show called “Just Music” at 9:30. After “Girls Wrestlers” kicked off prime time at 7 p.m., the station aired “Baseball Scores” and “World News” from 10:45 to 11 p.m. before showing “Treasury Men in Action” and then signing off at 11:30 p.m. with the National Anthem. Though it would be another three years before Orlando got its own local television station, Central Floridians had discovered TV via Jacksonville. And having a television in the early 1950s was an expensive luxury. WMBR-TV listings, the first to appear in an Orlando newspaper, on July 31, 1951.